To end oil industry dependence on river transportation, the Brazilian company Petrobras planned the construction of a natural gas pipeline from Urucu to Manaus in the Amazonas State, at the heart of the rainforest. The first route was completed in 1998 between Urucu and Coari. Later on, Petrobras announced its willingness to construct the second layout from Coari to Manaus but also to connect Urucu to Porto Velho, in the Rondonia State, also through a new natural gas pipeline. It is in 2002 when local indigenous communities, fishermen, environmental associations and civil society organizations raised their voices, opposing the two pipeline projects. All these groups shared common concerns about a settlers’ invasion, the danger of deforestation as well as soil and water contamination. Social opposition was also triggered by the experiences suffered in Coari, whose inhabitants were facing the severe impacts of the first pipeline layout, such as the increase of prostitution (even children’s prostitution), drugs’ use and infectious diseases’ spread [1 & 2]. Petrobras went on with its project and finalized the whole pipeline from Urucu to Manaus by the end of 2009. Even after the finalization of the pipeline, social opposition remained vivid due to the ongoing planning for the pipeline between Urucu and Porto Velho and also the gas pipeline between Jurua and Urucu. While the pipeline between Jurua and Urucu is still pending, the pipeline from Urucu to Porto Velho has been constructed, after a delay provoked by the 14 recommendations expressed by the Federal Public Ministry to Petrobras . Numerous indigenous communities are affected by this second pipeline such as the Palmari, the Apuriná, the Katukina, the Juma, and the Cunirá Takutina peoples as well as the isolated people from Jacareúb. Amazon Watch and Friends of the Earth Brazil pointed out critics to the public hearings carried out by Petrobras in 2002, critics expressed by the indigenous communities themselves . 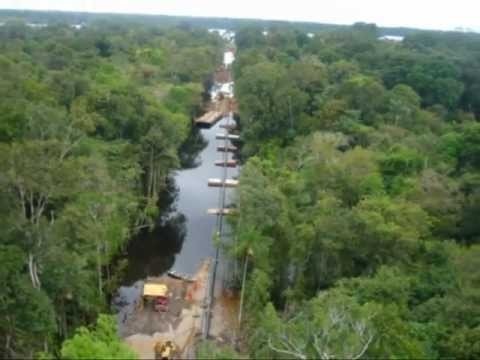 This pipeline construction was justified by the need to provide energy to produce electricity in Manaus, and other municipalities. Manaus is the capital of the Amazonas State. Located in the middle of the rainforest, the state's capital records 2 million inhabitants. the city doubled its population in the 2000's decade. Manaus fast and growing industrialization is at the origin of this expansion. The pipeline project is to be understood as part of a broader context where the rainforest fossil fuels' drilling is increasing. This trend was highly feared by environmentalists opposing the pipeline before its construction. What's more, by pushing further the rainforest frontier, the natural resources are made available for ranchers, settlers, and/or illegal miners and loggers. The whole State, at the very heart of the rainforest, is subject to oil and gas fields explorations/exploitations and electricity plants. 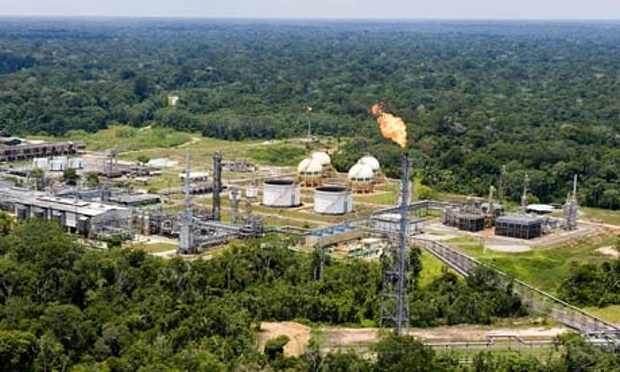 As for instance, a gas plant was built in Urucu (financed by JEMIX) and an environmental impact assessment was carried out for the construction of a new gas pipeline connecting the isolated gas field of Jurua to Urucu. Now connected by the pipeline, Urucu provides enough sources of energy to Manaus. Jurua's gas would be sent to Porto Velho . Indeed, Urucu was also connected to Porto Velho by another new 522.2km long pipeline started in 2010, connecting the Amazonas and Rondonia States. Project Details The Urucu-Manaus natural gas pipeline, built by the Brazilian company Petrobras was 670 km (416 miles) long, and was inaugurated on November 26th, 2009. The first piece of the pipeline, between Urucu and Coari, totalizing 280 km, was built in 1998, and was contracted to the OAS/Etesco Consortium. The two following stages started in 2004 and connected Coari to Anamã (196 km long); and then Anamã to Manaus, contracted to the Camargo Correa/Skanska Consortium. Initially, the pipeline would transport 4,7 million cubic metres of natural gas per day. Why? Explain briefly. Local residents, fishermen, environmental groups and civil society organizations opposed this project. However, in September 2005 the project was approved and in June 2006 the pipeline construction began and the pipeline was opened in 2009. Geopolitica de los recursos naturales y acuerdos comerciales en sudamerica, Fobomade, 2005. Asuntos Indigenas 2-3/2006 Pueblos Indgenas e Hidrocarburos, Iwgia, 2006. Petrobras: Integracin o explotacin?, FASE, 2005.